Revival Productions’ Overload, which is the spiritual successor to the 6DOF tunnel shooter Descent is coming to Xbox One/Xbox One X! It will arrive on March 6th, 2019 on Xbox One/X for 29.99. The Xbox version also supports cross-platform with PC. 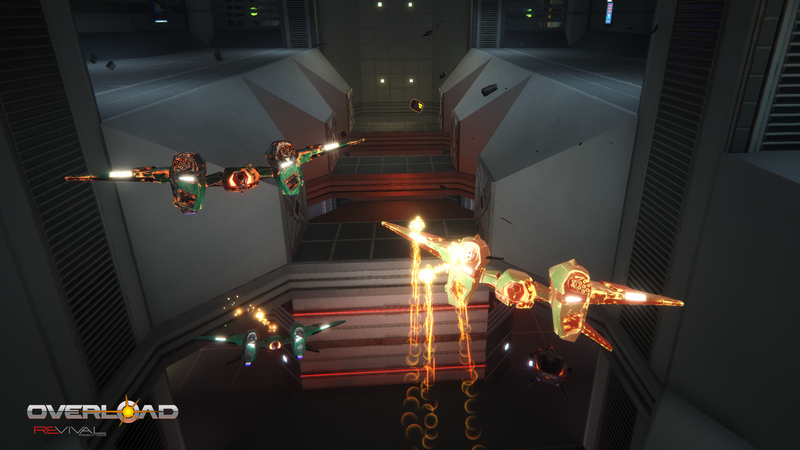 Revival Productions, founded by Matt Toschlog and Mike Kulas, co-founders of legendary Parallax Software and creators of the classic Descent, created Overload as the ultimate zero-G shooter. It gives players three axes of rotation and three axes of movement, unlike traditional FPS games. The battle comes from all sides, above, and below, which adds to the game’s complexity and depth to control and movement, ultimately transforming the FPS genre into something completely new and challenging. Overload is currently available on PlayStation®4 and PC ( Steam and GoG) for $29.99/€24. Overload boasts at 93% Positive score on Steam!